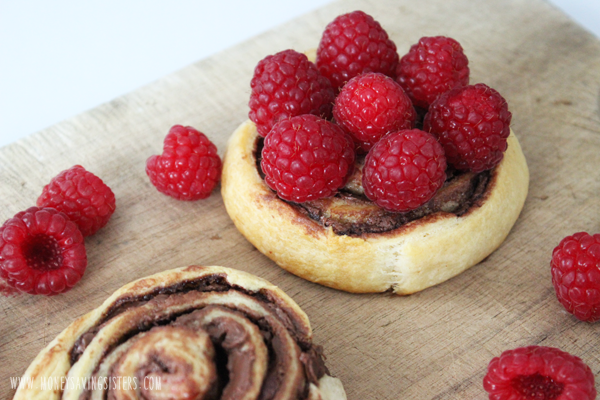 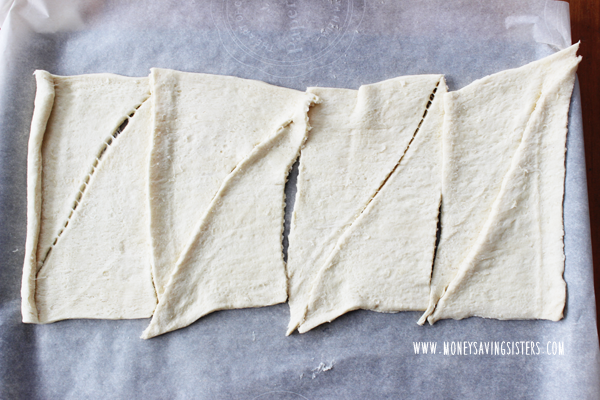 The first thing you are going to want to do is roll out crescent rolls onto parchment paper. 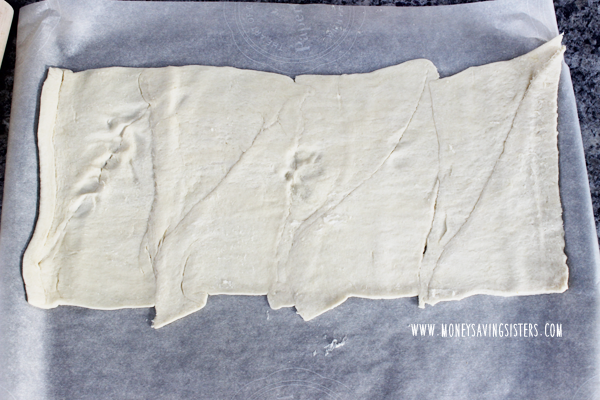 Use a rolling pin and flatten out crescent rolls so there are no separations or gaps in between the crescents and it is one large flat dough. 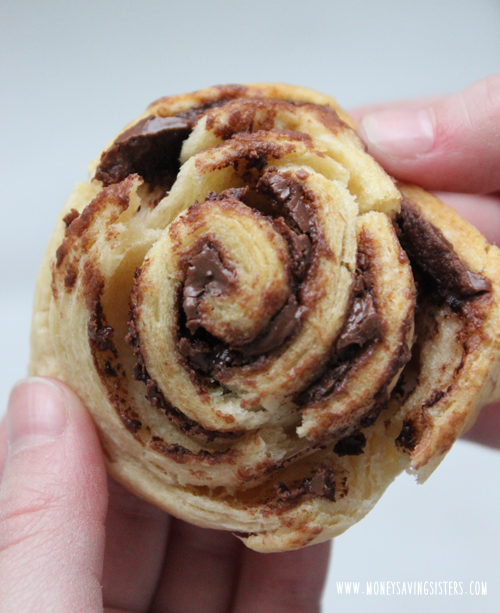 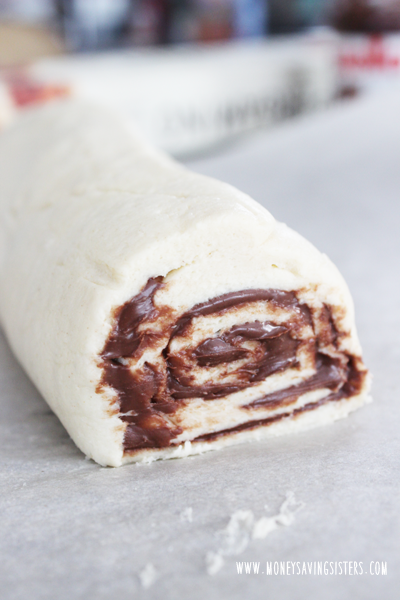 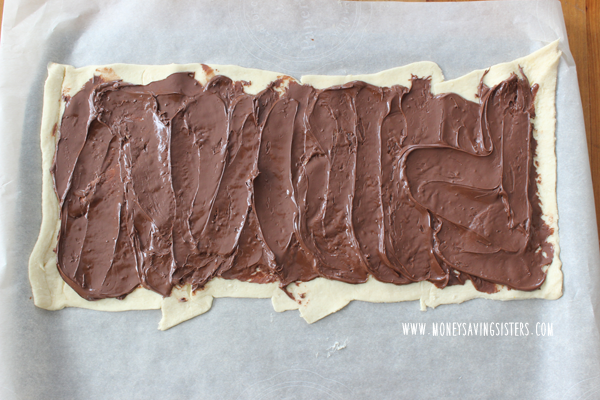 Once the Nutella is spread across the dough, you will roll up the Nutella & Crescent roll dough into a large spiral roll as seen above. 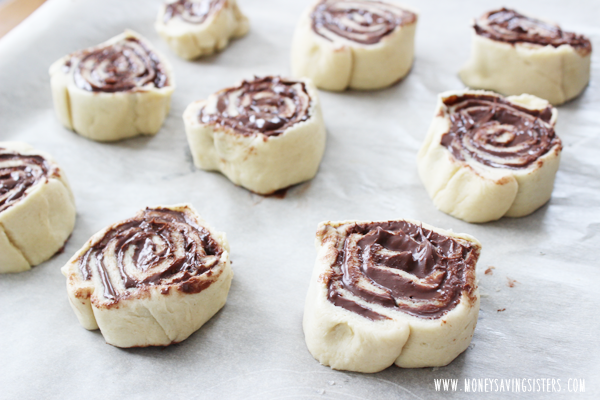 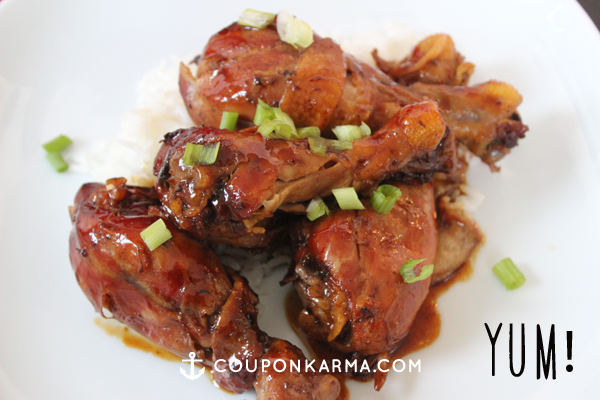 Take a large serrated knife and cut the rolls into 1/2-3/4 inch slices and bake at 350 degrees for 10-12 minutes or until golden brown. 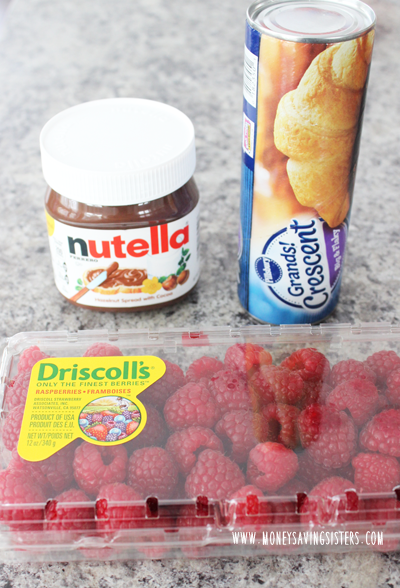 If you want to get fancy you can top with some delicious and fresh raspberries to turn this into a romantic Valentine’s day breakfast treat!